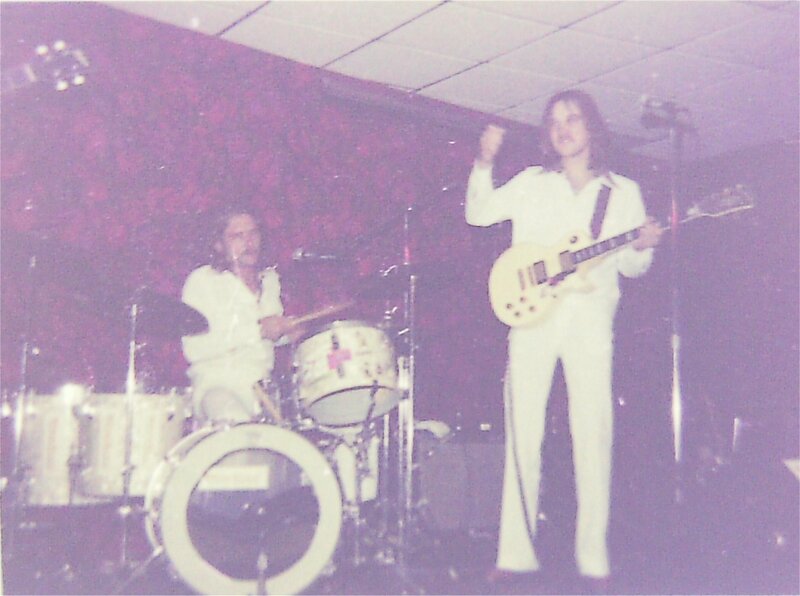 Here is a shot of Paul Staack (drums) and Jon Ludtke (guitar) onstage at the Koliseum in 1976. Apparently we were asked to wear matching outfits, so we chose our white “Your Mother Should Know” outfits inspired by The Beatles! 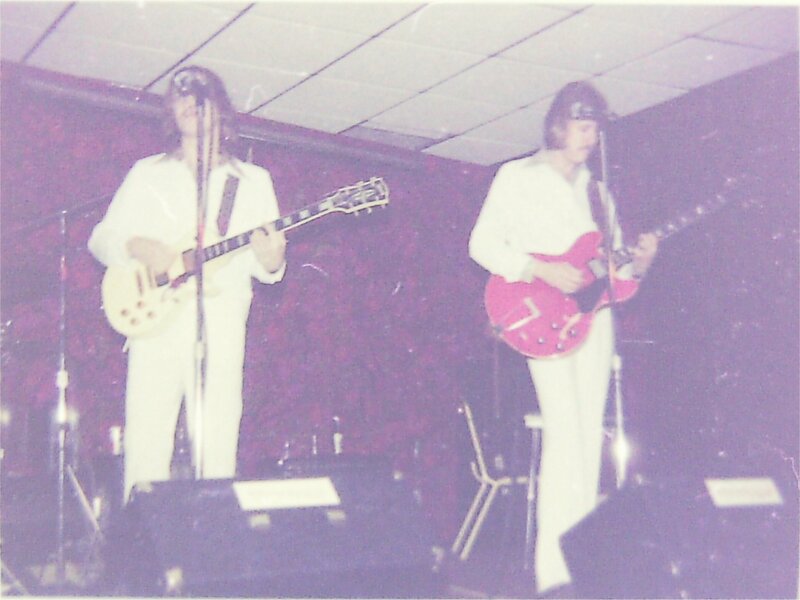 Second is a photo that shows Jon and Ken Wiles onstage that same evening. Finally, the last photo shows Mick Orton (now of The Silvers) on bass. 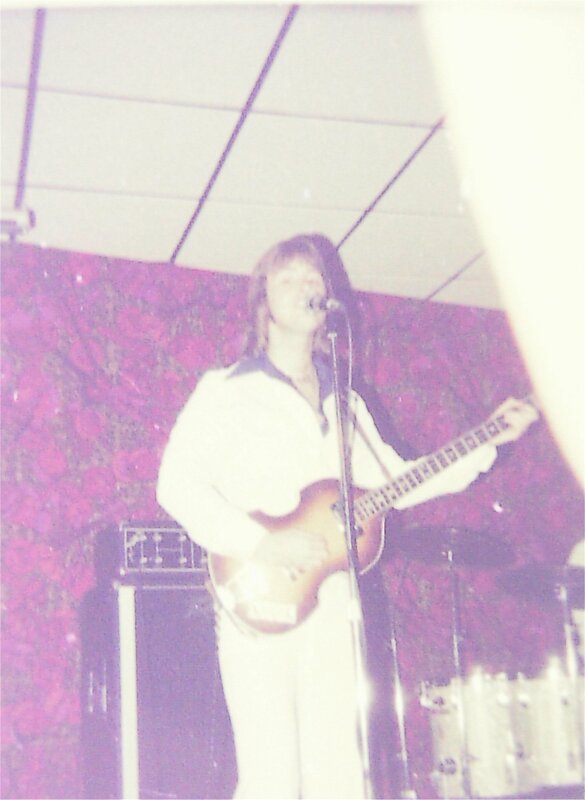 ‹ One More 1976 Silver Laughter Photo From Our Friend In Peoria!